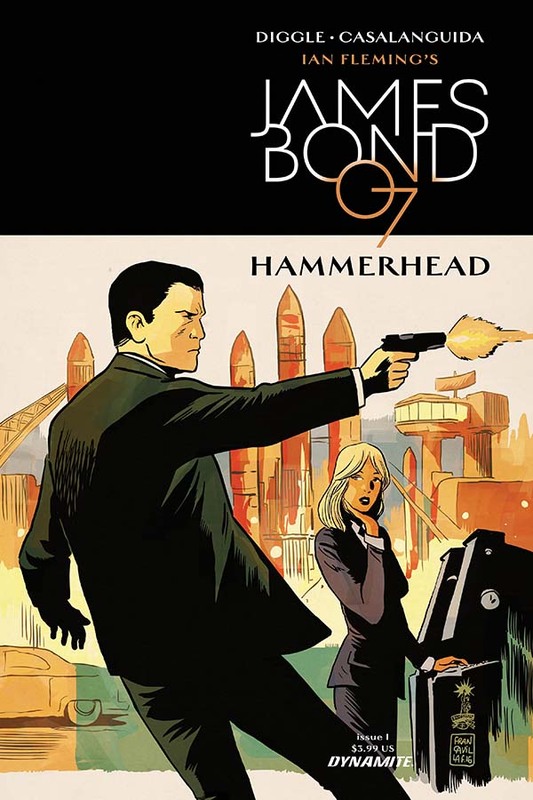 To follow up the success of the James Bond comic series VARGR and EIDOLON by Warren Ellis and Jason Masters, Dynamite Entertainment ordered a new James Bond adventure. 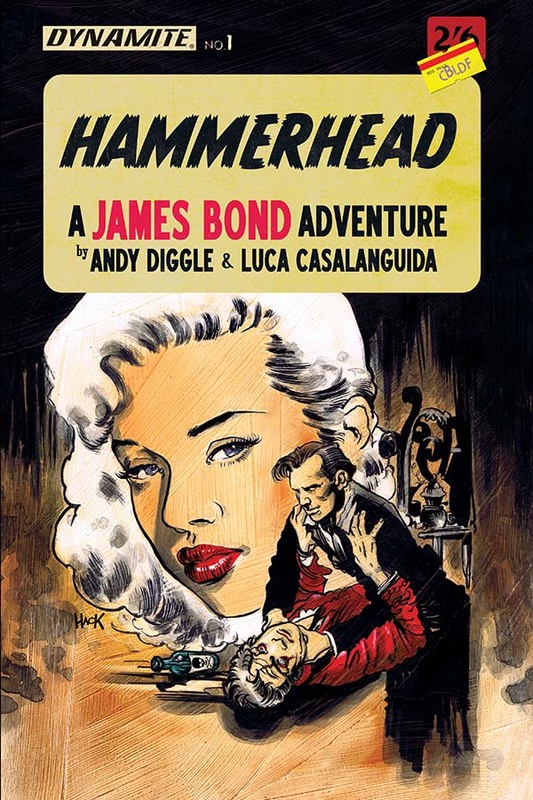 This time the creators was writer Andy Diggle and artist Luca Casalanguida and the title was HAMMERHEAD. The blog can now reveal the complete set of cover designs for this series even if episode five and six has not yet been released in stores. 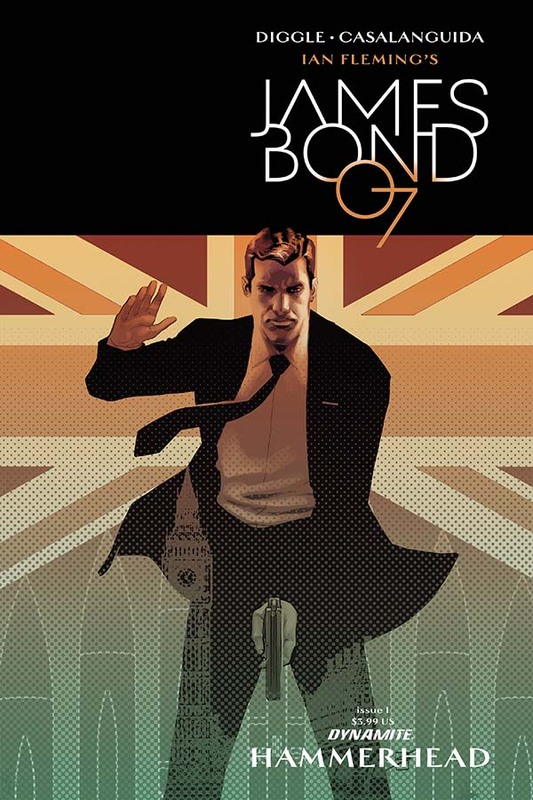 The artist for the covers of this series is artist Fran Cavil. That's short for Francesco Francavilla. A great artist who has done a very good job on many other covers and drawings. 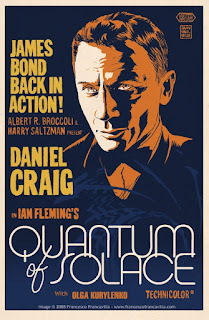 I guess many of you has seen his 50-60 take on the Quantum of Solace movieposter. I must confess that compared to his other work I am sadly not impressed this time. 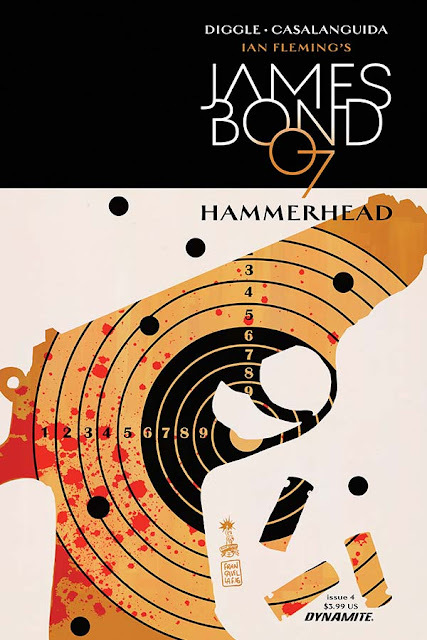 His Quantum of Solace piece is fantastic and his cover for Green Hornet and The Spirit are amazing. 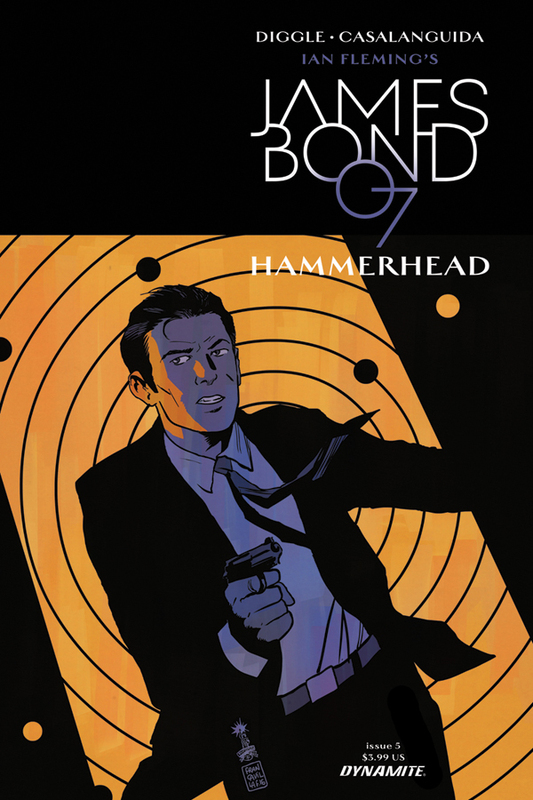 But the covers he has done for HAMMERHEAD feels rushed or uninspired. Once again we clearly see the problems that occur when the artist is told to use the face of James Bond as little as possible. To me, such a rule made out by Ian Fleming Publications (or even EON Productions) will only harm the literary Bond when trying to draw a new crowd. 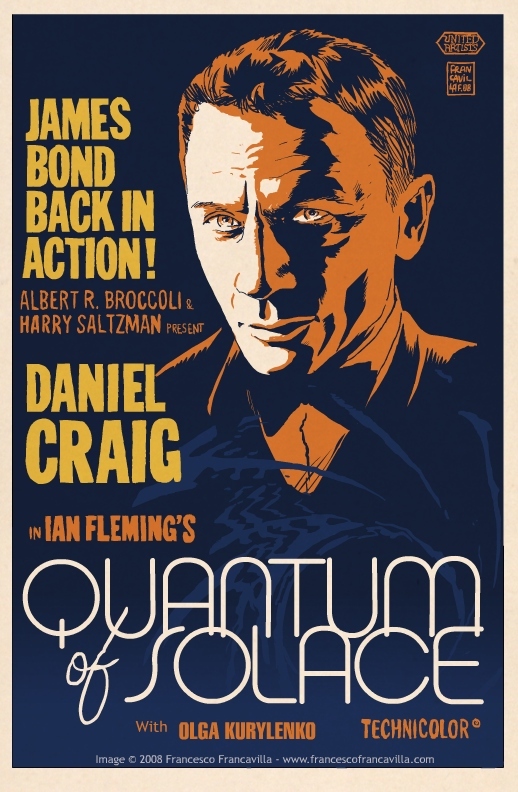 What if the film franchise was not allowed to use the face of Daniel Craig? That would be catastrophic for the ticket sales. 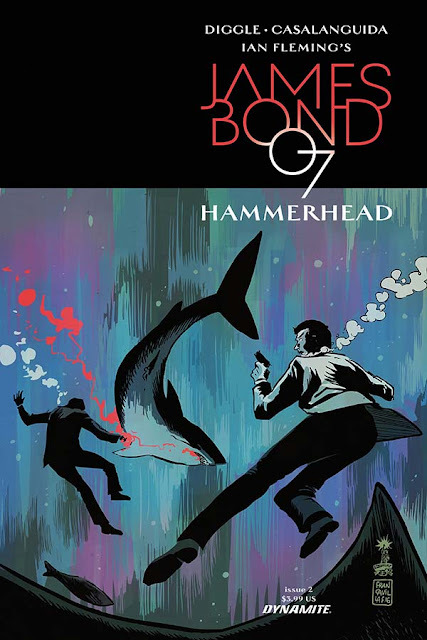 I strongly believe that Francesco Francavilla could have done a far better job with the HAMMERHEAD series. 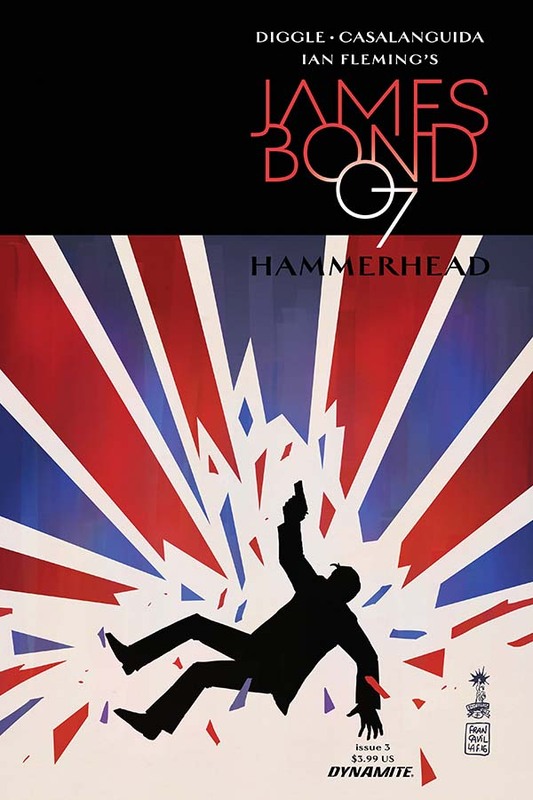 Just check out his website. 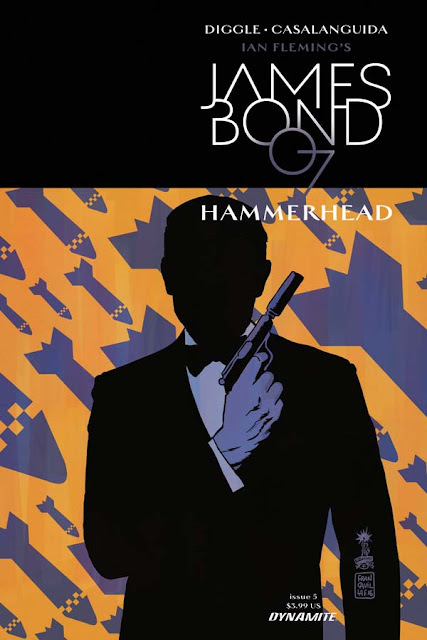 Below you can see the complete collection of all the different HAMMERHEAD covers. 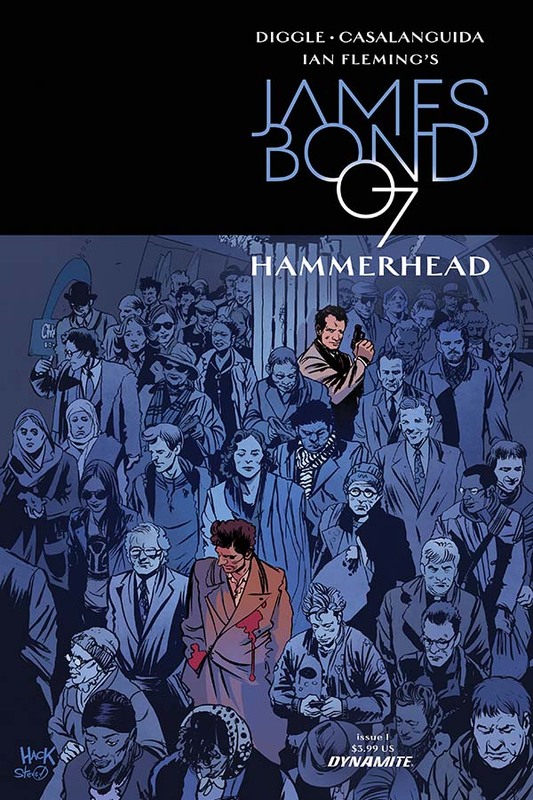 Issue one was released with four different covers. HAMMERHEAD will be released as a hardback on May 23, 2017 and you can pre-order it here if you live in the US and here if you live in Europe.